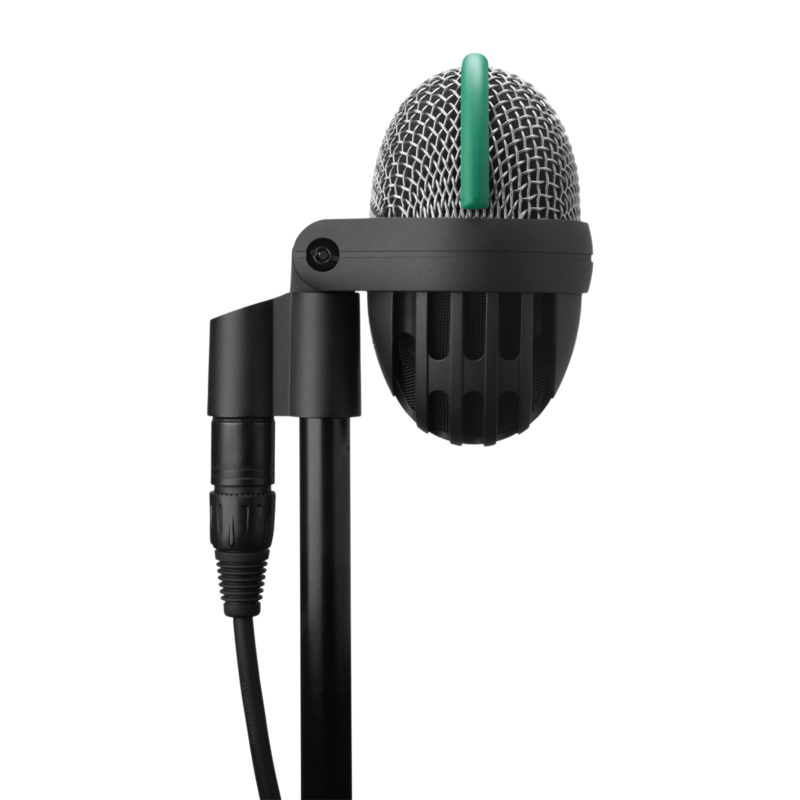 The D112 MkII professional dynamic bass drum microphone features a new integrated flexible mount, while retaining all the sonic strengths that have made it's predecessor the industry-standard. 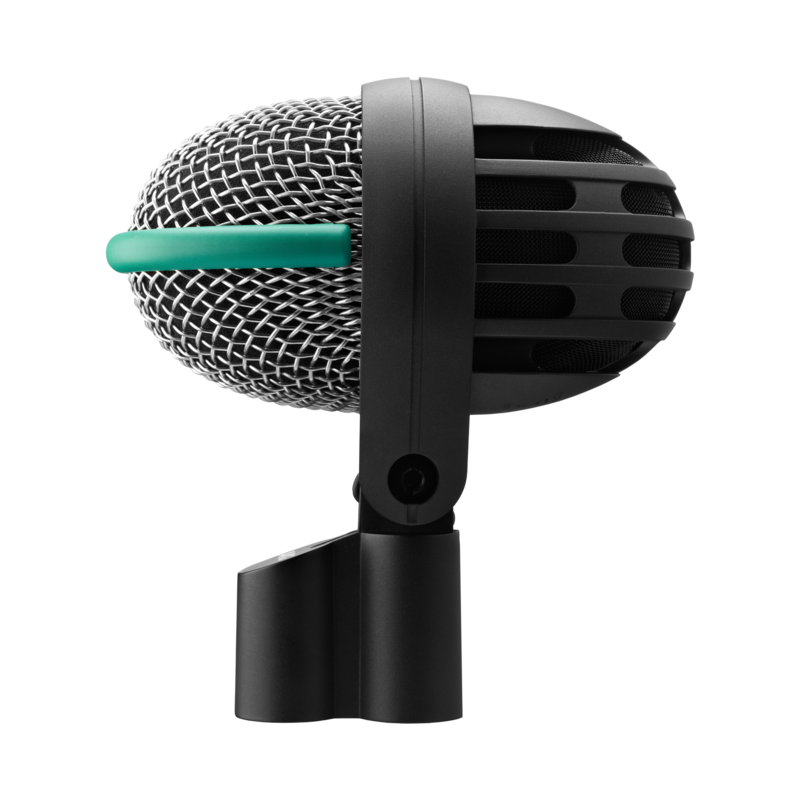 Over the years the D112 has earned a well-deserved reputation as one of the best bass drum microphones ever made, for its high SPL capability, punchy EQ and bulletproof construction. 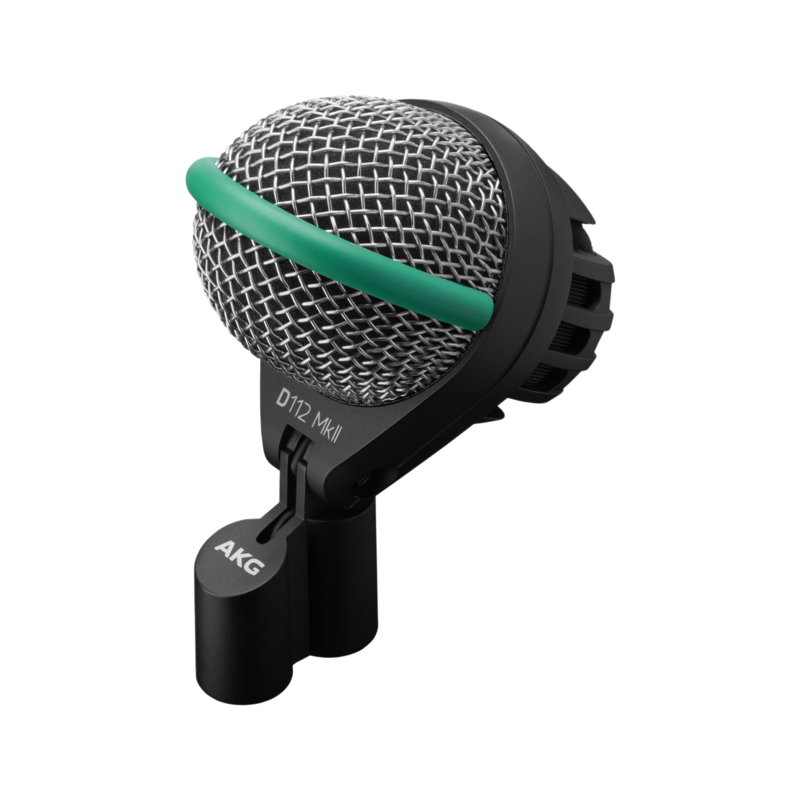 The D112 MkII can handle more than 160 dB SPL without distortion. 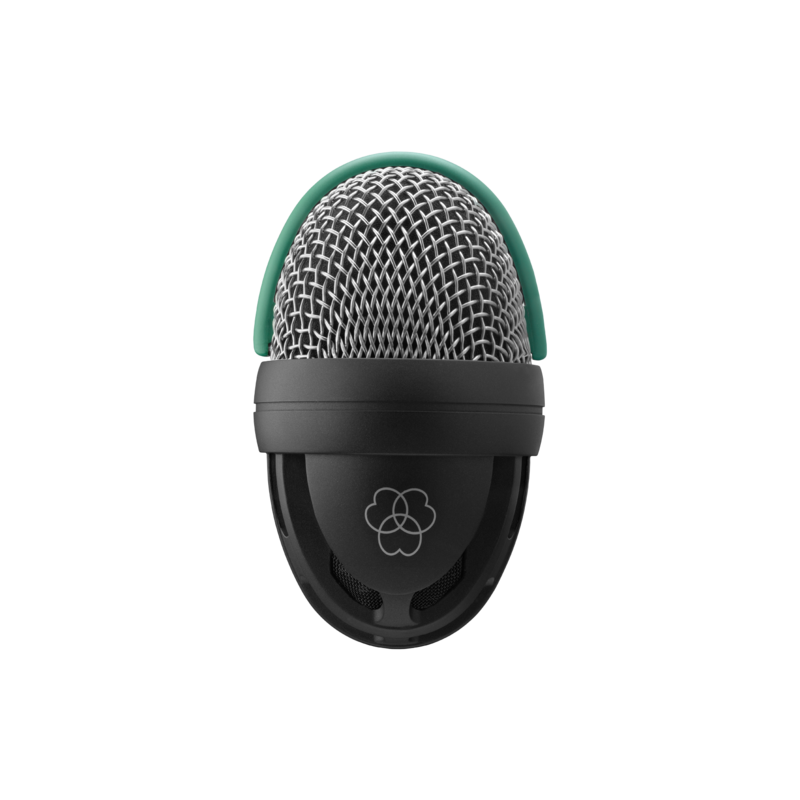 Its large diaphragm has a very low resonance frequency that delivers a solid and powerful response below 100 Hz. Its authoritative low end is complemented by a narrow-band presence boost at 4 kHz that punches through even dense mixes and loud stage volumes with forceful impact. One of the many reasons artists and sound engineers love the D112 MkII is that it requires no additional EQ to sound just right as soon as you bring up the fader. Further refining its performance, the D112 MkII features an integrated hum-compensation coil that keeps noise to an absolute minimum. 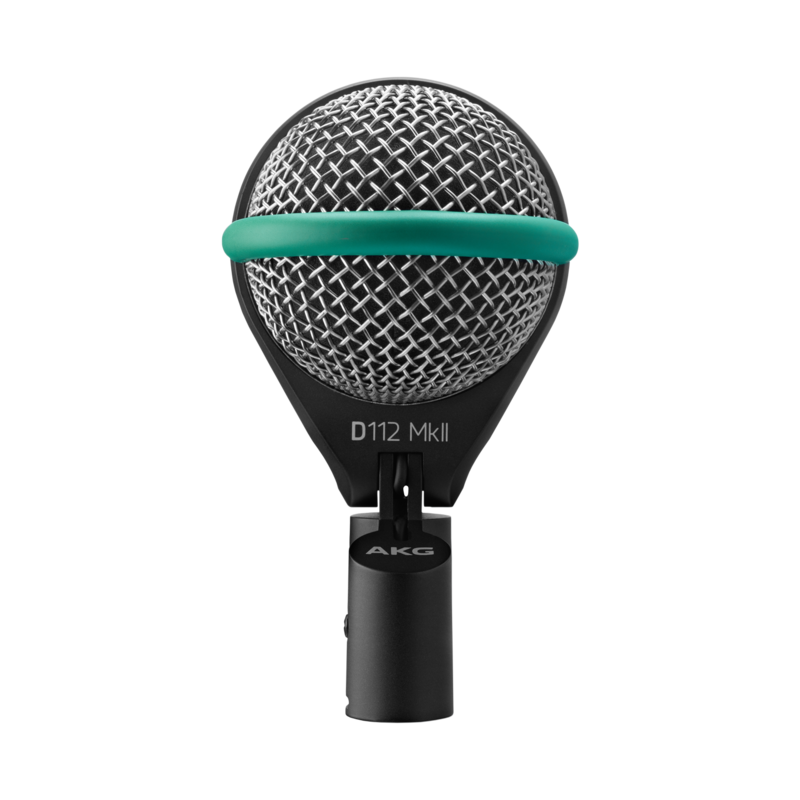 In addition to being an exceptional bass drum mic on stage and in the studio, the D112 MkII is an excellent choice for miking electric bass cabinets and trombones.